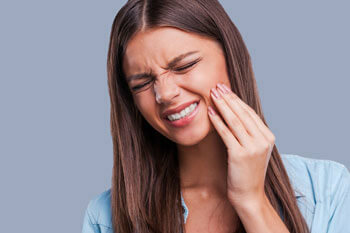 A painful toothache or knocked-out tooth can happen when you least expect it. We are here for you. The family dentists at Dental Link have a booking system that accommodates dental emergencies throughout the day. Contact us today to see how! Though you can’t prevent every dental emergency, there are some things you can do to reduce your chances of experiencing one. Never use teeth as tools: While it may be tempting to tear open an envelope or package with your teeth, use scissors or other devices instead. Wear a night guard if you grind your teeth. If you grind or clench your teeth, those habits can hurt your smile. We can create a customised night guard to protect your teeth while you sleep. Safeguard your mouth while playing sports. If you play contact sports, it’s essential that you protect your teeth and mouth. We offer customised mouth guards that are superior to over-the-counter varieties. Avoid sticky or crunchy foods if you wear braces. Eating such foods can break or loosen brackets. Keep your regular checkups. Skipping routine dental exams and checkups could lead to more extensive and expensive dental emergencies. Save time and money by seeing your dentist every six months. First, call our office straightaway. We have three convenient locations, two of which are open late or on Saturdays. Second, find any missing tooth fragments and place them in a cup of milk or saline to transport them to our practice. The faster you reach us, the quicker we can help you to get out of pain, and potentially save your tooth. If you’re worried about paying for your emergency treatment, you’ll be happy to know that we offer convenient financing options. Insurance plans are also accepted!